Our industrial epoxy flooring company in Boise is one of the most experienced companies around. With effective flooring solutions for all of your epoxy flooring needs, industrial epoxy flooring is becoming one of the hottest trends around. When you choose an epoxy floor for your industrial space you are investing in an extremely durable, smooth, and attractive flooring system that will last you for years to come. Considering an industrial flooring system for your floors and using us to do it guarantees proper, professional, and quick installation. ARE EPOXY FLOORS PRACTICAL FOR YOUR SPACE? 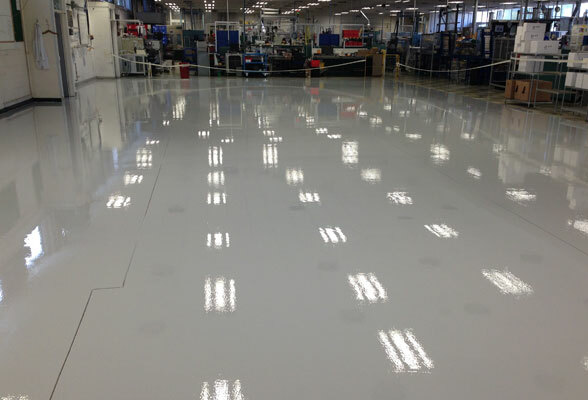 Epoxy floors are practical for industrial areas because they are durable and have long-lasting properties. The flooring systems make for simple ways to clean, sanitize, and reduce possible bacteria growth in areas where the floors are constantly used. Because of the epoxy floors offer industrial areas infinite numbers of design combinations, you are likely to have a unique design, making your industrial epoxy floor one of a kind. Sometimes picking these flooring systems can be overwhelming, but with years of experience, we are here to lessen your worries and help guide you through the process. Extreme weight, making the floors harder to crack. Frequent cleaning, although, a daily sweep is recommended to clear the area of any possible damaging debris. 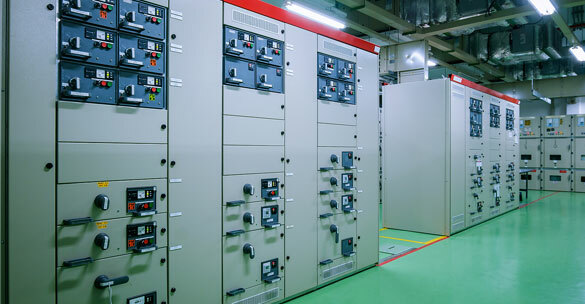 Safety for industrial areas is important if you need your floors to be slip resistant, anti-microbial, impact and abrasion resistant, and stain resistant. All of which are luxuries that an industrial epoxy floor offers. HERE IN THE BOISE AREA WE KNOW WHAT KIND OF MATERIALS WILL BEST COMPLIMENT YOUR INDUSTRIAL SPACE. IF YOU HAVE ANY QUESTIONS OR CONCERNS ABOUT WHAT DIRECTION YOU WANT TO TAKE YOUR FLOORS, LET US HELP, GIVE US A CALL. When an industrial epoxy floor is installed professionally and properly, you are left with a resilient surface that can withstand even the worst kinds of spills. For areas that are exposed to high levels of chemicals and are exposed to damaging materials, these floors are ideal, because of their coating the concrete below is not damaged. The solid polymer finish protects your concrete from any serious damage that would cause you to have to replace your floors. 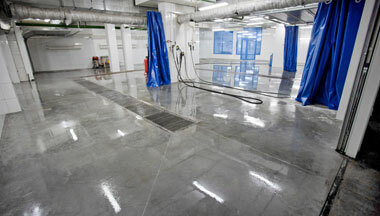 Substances that would otherwise ruin your concrete surface have zero power to your new industrial epoxy floors. Due to their ability to be customized by each customer, different qualities that make your floors uniquely safe are available. For instance, skid-resistant properties help prevent slip and falls, that could otherwise be damaging for your business. Another perk is the floors innate ability to resistant growth of any harmful mold and bacteria that could cause closure or health issues for anyone who comes into contact with the floors. Having a safe floor doesn’t mean you have to sacrifice looks, not with us, and not with our industrial epoxy floors. Epoxy floors offer a spectrum of colors and design that allow you to make your vision for your floors a reality. After your floors have been installed, your space will have a new level of gloss and shine which brightens up any room the floors have been installed in. For all of the perks industrial epoxy floors offer, you would think they were outrageously expensive, but they’re not! Epoxy floors have qualities that make these floors last for years, outliving the expenses you may pay for them. When your floors can withstand substantial amounts of use you have more time to dedicate to your business. Epoxy industrial floors are installed quickly and without large messes which means your production time is never slowed more than a short period of time. Once your concrete has been properly installed you don’t have to spend long periods of time cleaning your floors. Their natural properties that resist bacteria reduce the amount of deep cleaning, scrubbing, and eliminate the need for harsh chemicals. The coating on your industrial epoxy floor keeps all debris on the surface and prevents any penetration allowing a quick sweep to take care of most of the cleaning needed. 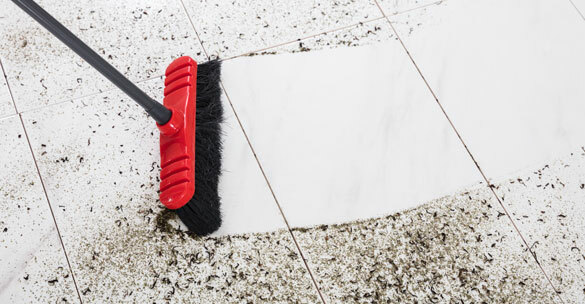 Other than a daily sweep, you can spend more time and money on other things, instead of cleaning your floors. When our contractors properly finish coating and setting your industrial floors you are left with evenly smooth surfaces that are much more forgiving on machinery and vehicles. Equipment, that would otherwise need more frequent replacement before epoxy flooring, lasts longer when you invest in a safe flooring system. Less usage of harsh cleaning products, infrequent replacement of machinery, and even less replacement of your flooring system allows you to create a greener footprint. CALL NOW AND GET A FREE QUOTE! 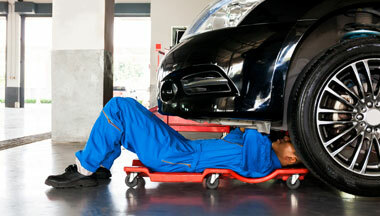 WE SERVICE MANY AREAS IN BOISE AND WE ARE WAITING TO SERVICE YOU!